It has only been seven years since fans got their final dose of Harry Potter, but for some, it has felt like a lifetime. That is, until audiences were taken back to the wizarding world so many love in 2016 with Fantastic Beasts and Where to Find Them. Viewers loved the new characters and fresh setting with the new installment because it was within the realm many were longing to see again. Set during the 20’s in New York, fans were able to connect once again to a magical world seen through the new perspective of Newt Scamander, played by Eddie Redmayne. With the predicted success of Fantastic Beasts, Warner Bros is releasing the next segment in the series, Fantastic Beasts: The Crimes of Grindelwald. For the sequel, the franchise is turning up the nostalgia. 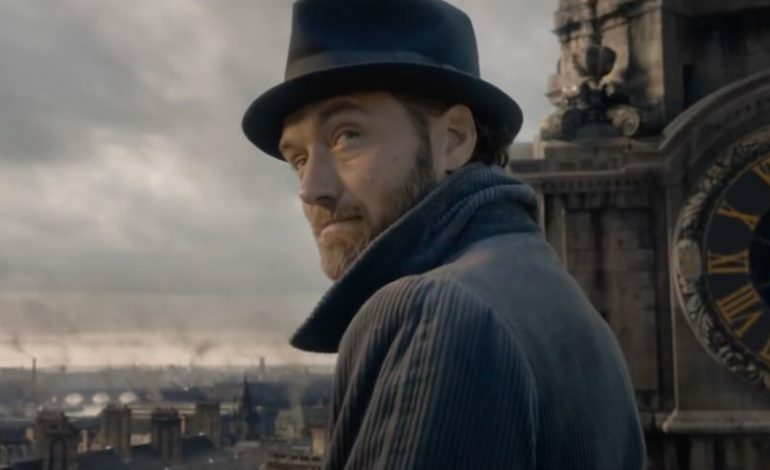 Not only will fans see a younger version of the beloved headmaster of Hogwarts, Albus Dumbledore (Jude Law), but filmmakers are taking us back to Hogwarts School of Witchcraft and Wizardry itself. Law commented on the involvement as being very special since he watched on as a fan of the Harry Potter series for years, but actually being in the school as Dumbledore was an extraordinary experience, according to Cinema Blend. Much of the cast and crew, including J.K. Rowling herself, are excited about the return of the wizardry school and its future headmaster in the sequel. Although Hogwarts may only have a brief appearance within the film, it is a welcomed addition to Newt’s story. Crimes of Grindelwald will follow Newt and the rest of the fan favorites from Fantastic Beasts, but we also begin to see how the war between Dumbledore and Grindelwald began. Fans of the books will note that while the relationship between these two characters was not explored during the Harry Potter films, they used to be the best of friends (and possible lovers as hinted in the past). It will be interesting to see how Crimes of Grindelwald addresses their relationship both current and while they were younger. Crimes of Grindelwald will magically be in theaters on November 16, 2018. If November seems just too far away, check out the extended mash-up trailer below to get a quick fix.